Today, I had the pleasure of hosting a group of 20 high school students from several local school districts at a special annual event: the Austin Community College (ACC) Center for Public Policy and Political Studies (CPPPS) Building Tomorrow’s Leaders fundraising luncheon. CPPPS is a non-partisan, nonprofit center committed to education, civic engagement, informed decision-making and understanding across cultures. This year’s VIP reception and plated luncheon was held at the W Hotel in downtown Austin. Although BLGY has invited students to this event for the past half-decade, I never tire of seeing these young potential future leaders make the most of their off-campus grooming opportunity at the event by engaging their fellow students and the adults in the room with intelligent, insightful conversation. Our group consisted of future engineers, doctors, entrepreneurs, lawyers, artists, producers, scientists, public administrators and criminal investigators. During the reception, students were able to meet and speak with local, county and state-elected officials, as well as business executives and professionals in diverse fields who took time to answer students’ questions about career planning and experience. 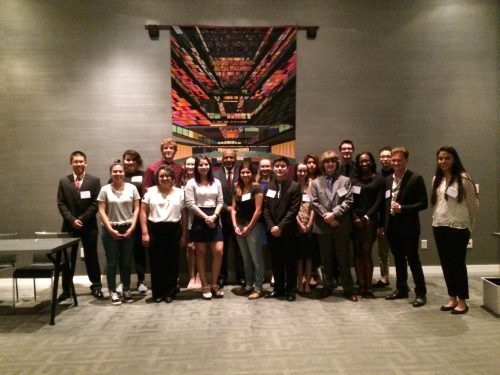 Each year, BLGY hosts 20-25 high school students from several local school districts at the “Building Tomorrow’s Leaders” VIP Reception and Luncheon event, sponsored by the Austin Community College Center for Public Policy and Political Studies. This year’s event was held in May at the W Hotel where the Hon. 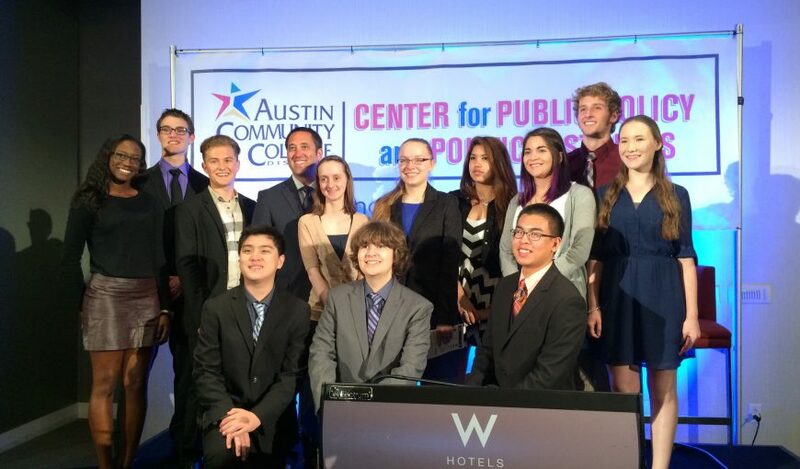 Glenn Hegar, Texas Comptroller of Public Accounts, was the keynote speaker.